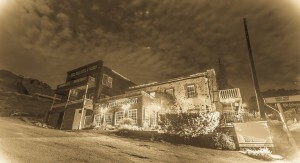 Halloween Ghost Tour tonight at the Gold Hill Hotel! The Gold Hill Hotel (as seen on Ghost Adventures and proclaimed the 8th most haunted location in Nevada) is offering Halloween Ghost Tours during the month of October! October 22nd is tonight’s tour! These tours benefit The Comstock Foundation for History and Culture. Hosted by the Northern Nevada Ghost Hunters (NNGH), your evening will start with a gourmet dinner in the Crown Point restaurant (one of the best restaurants on the Comstock). Ghost Tour at the Gold Hill Hotel! Sold out tonight! !